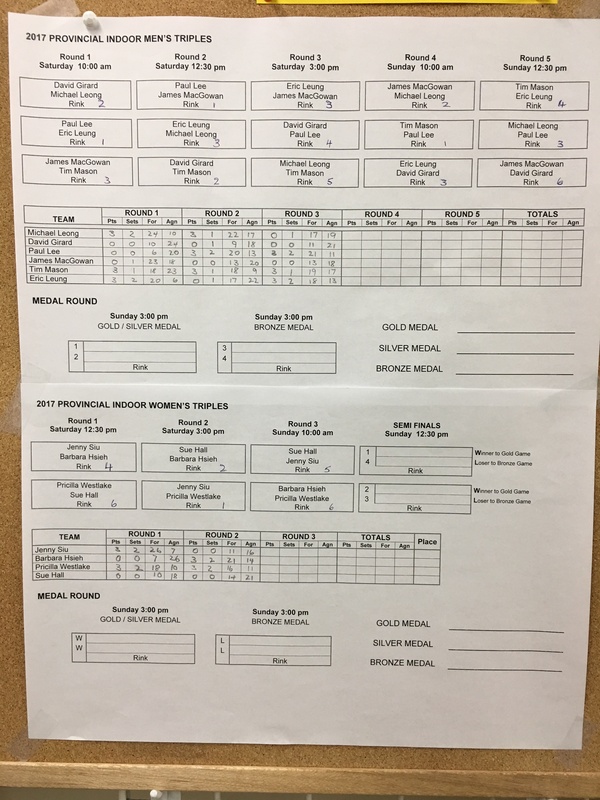 It was a great first day at the Pacific Indoor Bowls Club as the inaugural BC Indoor Triples started play with both the Women’s and Men’s division starting their round robin action. This is the first of a series of Indoor Provincials over the next couple of weeks as it will be followed by the BC Indoor Pairs, Mixed Pairs and Singles action. Its a lead up to the WIBC international Qualifier that will see Team British Columbia Canada heading over to the the UK. Action will start tomorrow morning at 10:00am with the playoffs starting in the afternoon. Come on down to check out some great indoor action.